If there’s one constant to Alverno Presents—the long-running performing arts series of Alverno College—it’s a willingness to try anything and everything. The past few years alone have seen local musicians paying tribute to the careers of Patti Smith and Quincy Jones (among others), internationally renowned dance troupes moving amidst the serene beauty of the Lynden Sculpture Garden, performance artists talking until they’re blue in the face, local raconteurs searching for the meaning of life in defunct bookstores and Higgs boson-inspired art, and, well, Grandma Sparrow. Light years removed from drab performances or stuffy recitals, Alverno Presents is one of Milwaukee’s best (and most unpredictable) fine-arts bets. Reggie Wilson channels the blues, slave, and spiritual cultures through postmodern eyes. Winner of the Bessie, the Guggenheim, and the Alpert Award, Reggie is also a Milwaukee native, a graduate of Rufus King High School, with long-standing ties to the community. For this fifth collaboration between Alverno Presents and Lynden, Reggie presents Moses(es), a look at the many portrayals of Moses to ask: how do we lead and why do we follow? Joined by his Fist & Heel Performance Group and members of diverse Milwaukee communities, and set to live vocalizations, Reggie is re-imagining this work especially for Lynden. A special request from Reggie: all of his performers will be dressed in red. Reggie would like the rest of us to dress in white. This will be epic. …Moses(es) | St. Cornelius Chapel on Governor’s Island from Reggie Wilson on Vimeo. “‘Little Red Corvette’ from ‘1999’ was one of the first regularly played songs by a black artist on MTV; Prince crossed boundaries like that all the time. In the first five songs on ‘Sign ‘O’ the Times’, he sprawls across James Brown, Joni Mitchell, Pink Floyd, the Beatles and Curtis Mayfield in five easy swoops and maintains his own identity. 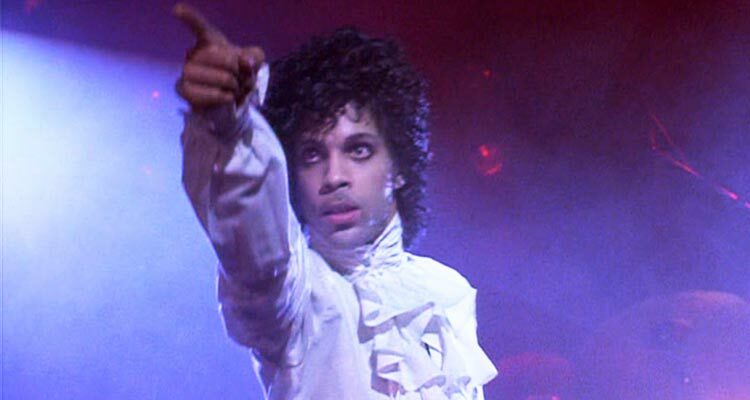 But it’s ‘Purple Rain’ that was a crowning achievement, not only in Prince’s career but for black life — or how blacks were perceived — in the Eighties. It’s the equivalent of Michael Jordan’s 1997 championship games: He was absolute-ly just in the zone, every shot was going in. ‘When Doves Cry’ is one of the most radical Number One songs of the past 25 years.”— Ahmir Thompson, Rolling Stone 100 Greatest Artists. Uncovered continues our love affair with the American Songbook. Our premise: a song becomes great by how it inspires re-interpretation. After ecstatic evenings with MKE artists re-interpreting Stephen Foster, Marvin Gaye, Patti Smith, and Quincy Jones, Alverno Presents commissions Nathaniel Heuer, Marielle Allschwang, Shawn Stephany and Erin Wolf of Hello Death to curatePRINCE UNCOVERED, a one-of-a-kind, one-night-only collaboration of MKE artists responding to and reimagining the songs of the iconic Prince. San Francisco-based ODC is known worldwide for its athleticism, passion and intellectual depth. Among the many awards ODC’s three resident choreographers — Brenda Way, KT Nelson, and Kimi Okada — have received are a Guggenheim, NEA American Masterpiece Award, seven Isadora Duncan Dance Awards, two Nureyev Awards, and a Tony nomination. Inspired by the work of visual artist Andy Goldsworthy and set to a commissioned score featuring live cello accompaniment composed by Zoë Keating, boulders and bones touches on transformation in art and nature. RJ Muna’s cinematic design traces the shifting light and changing landscape in the building of Goldsworthy’s sculpture, leading us through the chaos of creation to the clarity of form. boulders and bones (2014) – highlight reel from ODC Dance on Vimeo. Unlike all previous versions of rock ’n’ roll history, Greil Marcus’ The History of Rock and Roll in Ten Songs omits almost every iconic performer and ignores the over-explained and the obvious. Instead, in a daring stroke, Greil selects ten songs recorded between 1956 and 2008, and then proceeds to dramatize how each embodies rock ’n’ roll as the animating force of our lives. Greil Marcus is at the forefront of the first generation of rock critics, the baby boomers who around 1965 invented the genre from scratch, but none of his peers can rival his imposing body of work, including his four major books, Mystery Train, Lipstick Traces, Invisible Republic, and The Shape of Things to Come. Rock legends Jon Langford and Sally Timms (the Mekons) join Greil in the conversation and perform each of the “Ten Songs” (including To Know Him Is to Love Him, Money (That’s What I Want), This Magic Moment, and In the Still of The Night). In 1893, Charles K. Harris changed the American Popular Song when “After the Ball”, became the first multi-million seller. Declared the “king of the tear jerkers”, Harris believed songs should tell a story. In 1906, he told the world how to do this in his book, How to Write a Popular Song: A Practical Tutorial on Song Writing — with Music & Lyric Samples showing “good” from “bad”. That he did all of this in Milwaukee at the close of the 19th Century makes his story all the more intriguing to 21st Century singer-songwriter Christopher Porterfield. The 1980s. The Bronx. Two girls on the cusp of adolescence pass each other notes. Bronx Gothiclives at the intersection of theater, dance and visual art. Okwui’s intensely physical performance throbs with a power that threatens to break the body in this chronicle of one woman’s past. Drawing inspiration from Victorian-era novels and West African griot storytelling, Bronx Gothic reveals a powerful tale of sexual self-discovery, the (brown) body in transformation — and its accompanying humor, strangeness and love. Imagine twelve shining brass instruments blasting away, led by a trumpet as rapturous as it is melancholic. Imagine the Balkanic fusion of the love of life with its inescapable sadness. Imagine Boban Markovic, judged “best trumpet on Earth”. Now stop imagining — this is the real thing. We love The Hinterlands. They first exploded into the Pitman in 2011 with their psychedelic Wild West show, Manifest Destiny (there was blood on the saddle). They returned in 2013 with The Circuit, their left-of-center-high-octane-seize- no-prisoner take on another uniquely American entertainment, Vaudeville. With The Radicalization Process, we welcome them back with joy. This time, two wildly different American entertainments are given The Hinterlands treatment — ‘method’ based realism as it existed in the 1930’s and the avant-garde happenings of the 1970’s. Juxtaposing the hyper-realistic with the surreal, The Radicalization Process walks the edge between the rational and the ecstatic, asking how far we are willing to go for our beliefs, and is it far enough? Five sisters. Two brothers. And their dad. The Jones Family Singers have been tearing up churches and festivals alike for over two decades. “Modern practitioners of a long musical tradition…infusing their joyful, reverent songs with elements of vintage soul and R&B” declares the Wall Street Journal. Yep, it’s gospel music — but fans of Sharon Jones and the Dap Kings and Vintage Trouble will also find a hip shaking and spiritually uplifting workout at the core. “The three-generation gospel collective’s high-energy performances are the living embodiment of the indelible connection between the black church and its rock and soul offspring” notes the Austin Chronicle, and both Rolling Stone and NPR called them “a must see act” at SXSW 2014. The Jones Family Singers – “Down On Me” from Arts+Labor on Vimeo.